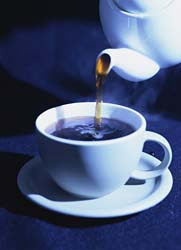 Mmmm, I'm enjoying a big steaming pot of postum right now...it's FREEZING outside! High thirties or low forties it feels like. My kids had to break out the down coats this morning, and luckily I had saved all the hats and gloves in a plastic tub in the closet this Spring-- we just had to fish out the matching ones. Is it me, or is this year FLYING by? I've already begun the Christmas presents list, and bought a few things. We are truly in the "holiday" season. Thing Four is happy screaming in his swing, I guess I'd better play with him while he's awake. Have a good weekend, everyone...STAY WARM!! I'm very proud of you for scheduling me time. Edward Cullen is the perfect male! You have to listen to Coldplay's "What If" to really feel Bella's pain in New Moon. Oh, and by the way, Hi! Email to follow!